The Novation Launchkey 49 is your quick and easy solution for producing and performing electronic music using Ableton Live. But even if you use another DAW, you’ll appreciate the Launchkey’s ergonomic layout and just-right feel. Simply plug it into your computer’s USB port and the keys, faders, knobs, and velocity-sensitive RGB pads give you complete hands-on control of Ableton’s session view, instruments, effects, and mixer. Launch your clips, control your effects, play beats, and more with the Launchkey’s 16 pads. They’re fitted with full-color RGB LEDs, so they’ll precisely match the color of your clips, and their velocity sensitivity means you can pack your beats with expression. 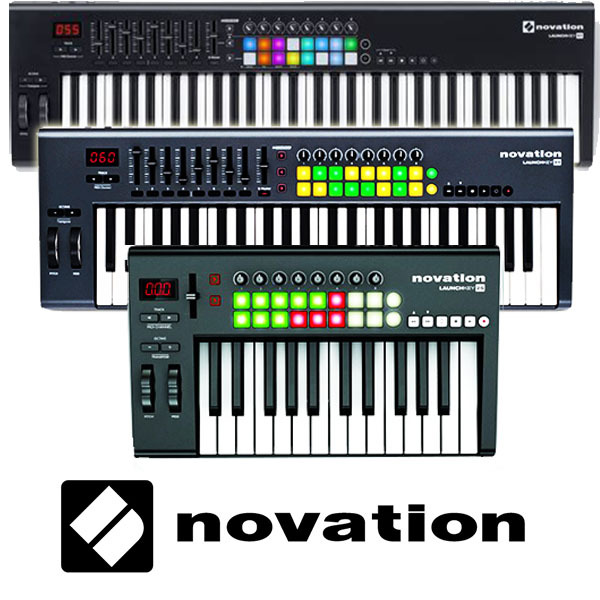 The Novation Launchkey 49. Don’t launch your DAW without it.